This is my great-grandfather, Ora Everett STEPHENS. 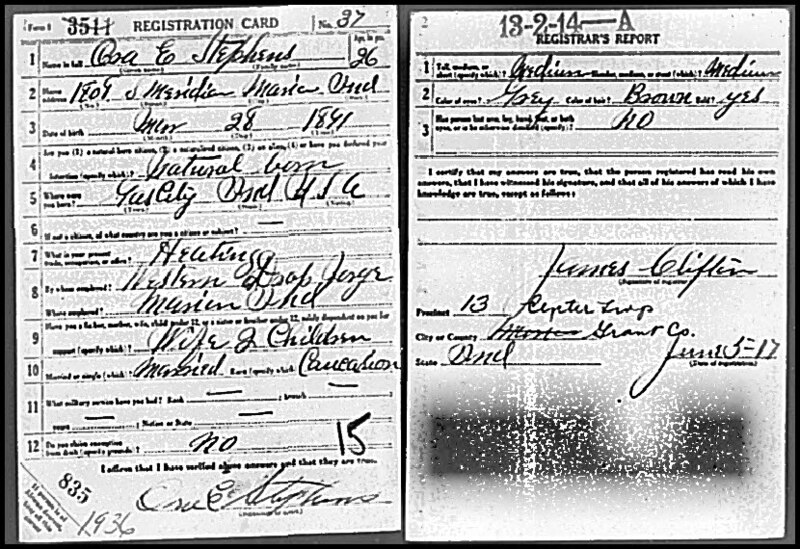 He died in 1929 at the age of 38 when my grandfather, Irvin Ora STEPHENS, was just 10 years old. Since he died so young we don't have many images for him. Just recently my mom and I made a trip to Marion, Indiana to visit the cemetery he is buried in. 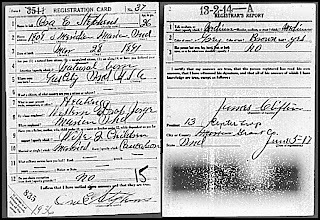 So I was thrilled when I found his World War I Draft Registration Card on Ancestry! It provides another peek into the short life my great-grandfather lived and I'm so glad to have it.